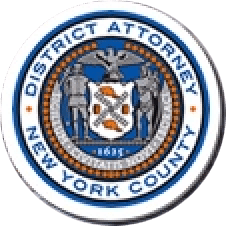 Manhattan District Attorney Cyrus R. Vance, Jr., today announced the indictment of JOHN SHASANMI, 39, an attorney, for stealing $600,000 from a Harlem church that he represented in a real estate transaction. The defendant is charged in a New York State Supreme Court indictment with two counts of Grand Larceny in the Second Degree and one count of Criminal Possession of a Forged Instrument in the Third Degree. According to court documents and statements made on the record in court, Second Providence Baptist Church, Inc. (“Second Providence”), located in Harlem, retained SHASANMI to represent the church and act as an escrow agent in a real estate transaction with Azimuth Development Group (“Azimuth”). In November 2014, Second Providence and Azimuth signed a Purchase and Sale Agreement granting Azimuth the right to develop a multistory building at Second Providence’s West 116th Street location, with the provision that Second Providence would own the newly constructed building’s bottom three floors. SHASANMI also signed the agreement in his capacity as escrow agent. On December 10, 2014, pursuant to the agreement, SHASANMI received a $250,000 deposit that he was supposed to hold in escrow, and which would ultimately be paid to Second Providence if the deal closed. SHASANMI instructed Azimuth that these funds should be sent to what he claimed was an escrow account, but in fact was a personal account held in SHASANMI’s name. By April 23, 2015, SHASANMI had misappropriated nearly all of the deposited funds for his own use, leaving a balance of approximately $500 in the account. After the deal closed in April 2017, SHASANMI received an additional payment of approximately $350,000 to be held in escrow. Again, SHASANMI held these funds in his personal bank account rather than in an escrow account and misappropriated the funds for his own use. By November 21, 2017, he had withdrawn nearly all of the money from the account, leaving a balance of approximately $100. Soon after the deal closed, Second Providence’s Pastor asked SHASANMI for a copy of the bank statement corresponding to the escrow account. On May 11, 2017, SHASANMI emailed the Pastor a forged Citibank statement indicating that all of the previously deposited funds were being held in an account in the name of “Law Office of John Shasanmi.” In reality, the Citibank account that corresponded to the account number on the statement was SHASANMI’s personal checking account, which contained substantially less money than was reflected in the forged statement. In March 2018, Second Providence’s Pastor began asking SHASANMI to release the money owed to the church. Despite multiple requests, SHASANMI has not returned any of the funds to Second Providence. Assistant D.A. David Bernstein is handling the prosecution of this case under the supervision of Assistant D.A.s David Crowley, Supervising Attorney of the Financial Frauds Bureau; Gloria Garcia, Deputy Chief of the Financial Frauds Bureau; and Archana Rao, Chief of the Financial Frauds Bureau, as well as Executive Assistant D.A. Michael Sachs, Chief of the Investigation Division. Paralegal Ethan Ellsworth and Investigative Analyst Oliver Van Zant assisted with the case, as did Senior Rackets Investigator Anthony Santoro. District Attorney Vance thanked the New York State Attorney General’s Charities Bureau, United States Customs and Border Protection, the Philadelphia Police Department, and the Philadelphia District Attorney’s Office for their assistance.